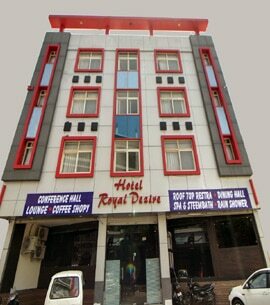 Hotel Royal Dezire, Udaipur – best budget hotel Near Udaipur Bus Stand offers visitors a home away from home, far from the hustle, the bustle and, sometimes, the frustrations of life in India. Situated at RMV circle in the heart of Surajpole, Udaipur. It has a distance of half km from Central bus stand Udaipur, one km from Udaipur Railway station & 22 km from Airport respectively. All major destinations of Udaipur like Gulabbagh, Pichola Lake, Jagdish temple, Bagore Ki Haveli are in walking distance of 10 to 15 minutes. Hotel Royal Dezire – Best Budget Hotel In Udaipur, situated in the heart of the city is an answer to your unfulfilled desires and wishes, to stay in lap of luxury in true urban ambience whilst you travel. It has beautiful affordable well appointed 42 luxury rooms Hotel including 3 mini suits one multi-cuisine restaurant and a coffee shop.Due to precise focus on customer experience, the Hotel as usually received high quality guest feedback and are always rated high the various Top Hotels in Udaipur or Top Budget Hotels to stay close to Bus stand & Railway Station in Udaipur on travel portals. Hotel Royal Dezire – Top Budget Hotel In Udaipur offers a serene refuge of comfort and hospitality where Indian tradition and modern services are blended. 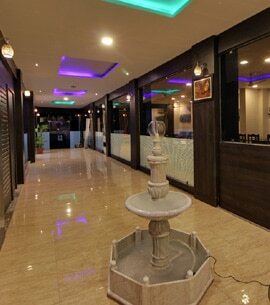 The hotel has now become one of the landmarks of the city with its highly professional and delightful services.